$4002 was raised toward our $3600 goal. 2018 Christmas Offering. 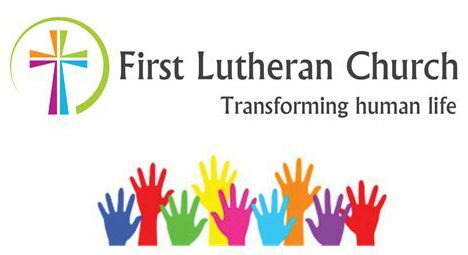 First Lutheran’s annual Christmas Offering is a special over-and-above gift from mission partners’ normal giving, along with non-member friends, that has generated $44,327.22 since 2013. The funds have been distributed to help hundreds of local kids and adults experience the love of Jesus through Free Summer Day Camp, Free Summer Lunch Program, Urban Immersion, Wilderness Camp and National Youth Gatherings, Refugee Resettlement in Dane County, a Resurfaced Parking Lot for guests, members and parents dropping off kids at our former Primary School, Reach Out Lodi, and the former Lodi Food Pantry, (now a part of Reach Out Lodi). Our faith community has expressed a strong value of making a difference locally at Christmastime. The basic idea is the same as the last five years. As we buy gifts for other people, we want our largest, most extravagant gift to go to Jesus in others. Sky Ranch Youth Backpacking Trip. Christmas Offering donations can be mailed or returned in the envelope provided at the church up January 10. Donations made after December 31, 2018 will be applied to 2019. These opportunities for financial giving are a great way to show Jesus’ love to people locally and beyond. Sugar Creek Day Camp. This week-long summer program is a partnership between First Lutheran and Sugar Creek Bible Camp in Ferryville, WI. Camp counselors, along with youth and adult volunteers from our community, work together to create an energizing, faith-building experience for children in the Lodi area. Bible studies, worship, arts & crafts, nature activities, and service projects are some of the highlights for the 50 kids who take part in the program each year. In 2019, we are looking forward to hosting Day Camp for the 14th summer at FLC! What a gift for children and families in our community! Sky Ranch Youth Backpacking Trip. In July of 2019, high schoolers and adult leaders from First Lutheran will travel to the Rocky Mountains in Colorado to be part of a week-long backpacking trip through Sky Ranch Lutheran Camp. This is a powerful experience for nurturing and developing faith in the young people of our community. Lodi Police K-9 Program. From Scott Klicko, Chief of Police: “The K9 program can always use funding, our current K9 Athena has been with us for 3 years and is starting her 4th. She is a 7 year old English Labrador Retriever that we primarily use for narcotics detection. She is also trained to do search and rescue type searching for missing persons and thankfully we have not had to use her for that as of yet. Another very important aspect of her role is socialization, I regularly take her to the schools and interact with our school aged kids, typically at the middle school because it seems those kiddos really bond. I have had requests from depressed and suicidal children for me to bring Athena to the school to help them past a very tough situation.